My husband and I are the proud owners of the Blue Hen Quilt Shop in Newark, Delaware! Lots of great creating goes on there and lots to inspire. Here is one of my latest creations, Dahlia Delight. It is not really a dahlia, no fancy templates, no curved piecing. You can make your very own! Find it on my patterns page. 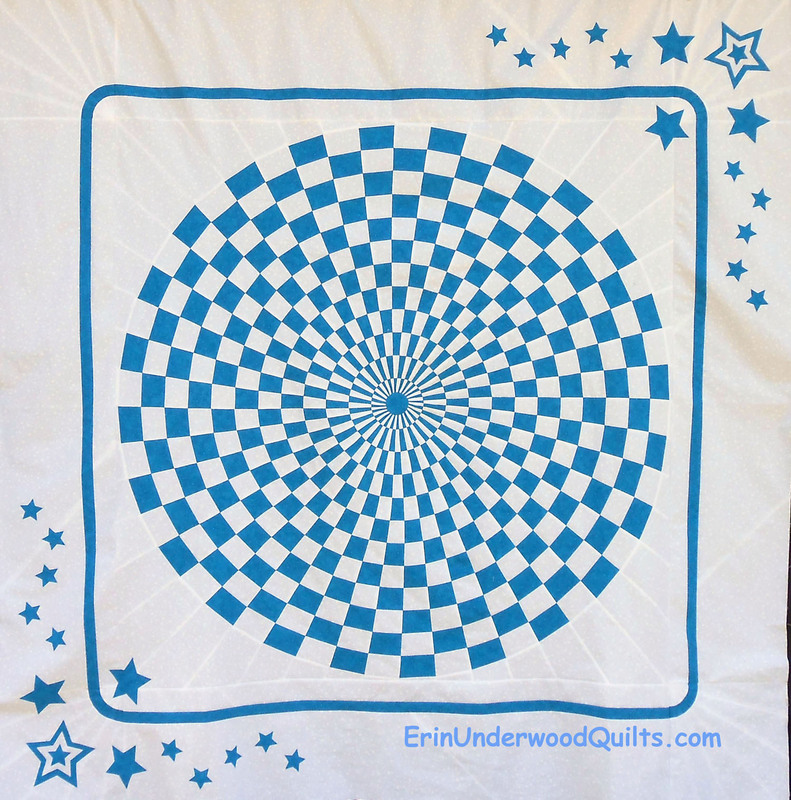 My love of taking a difficult project and making it easy is also the focus at my quilt shop! And we love classes! You are never too old to learn something new or something old but easier! And we offer a wide selection of classes on basic quilting, piecing, applique and handwork. 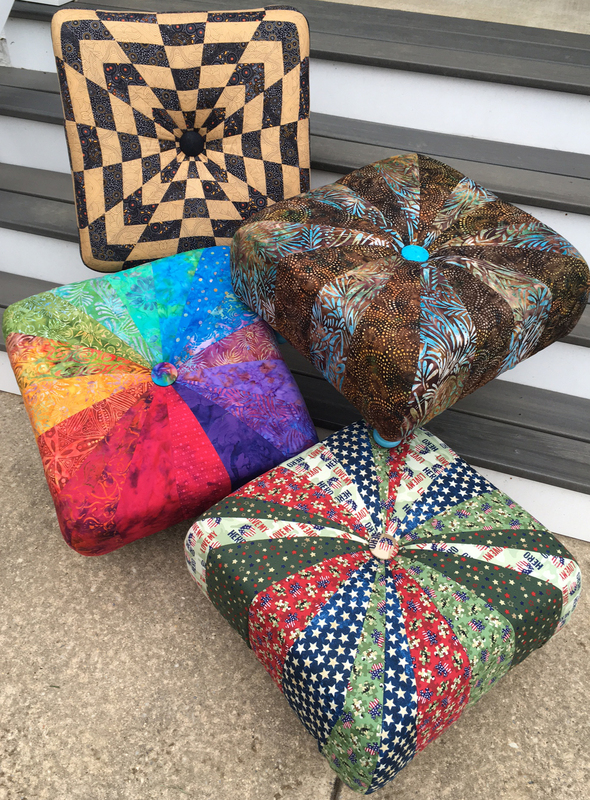 Or perhaps you want to make a tuffet, bag, or pillow! We offer that too! 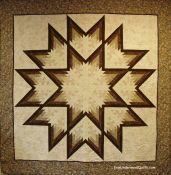 The Blue Hen Quilt Shop has a fantastic website where you can find everything you need at the click of the mouse. Or if you are in the area, stop by! We are located at 73 Marrows Road, Newark, Delaware (302-533-5215) just about 10 minutes off of Interstate 95. 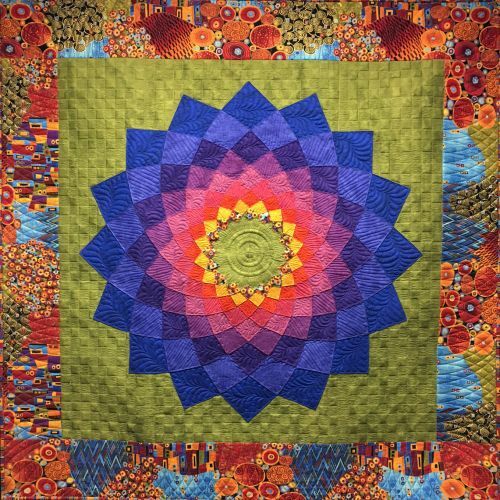 I continue to design, teach and lecture at guilds, retreats and quilt shows. Maybe I will meet you one day in my travels! Squffets are my newest endeavor - maybe it will be yours too! Meanwhile, please sit and explore these pages on my website. Enjoy the show! Check out my blog to get the latest happenings in my studio. Come back often to visit! You might find something new!